On Sunday February 14th 2016 the Sunday Business Post ran a Marbella Property Feature on page 10 (you can see a copy at the end of this piece). I visited the region for a few days at the end of January to research this piece and will be posting a few other short articles which didn’t make the cut for the Sunday Business Post print and online versions over the coming weeks. The first thing you may well notice if you’ve read the article is that none of the properties featured are actually in Marbella, because the feature was more about the Costa del Sol as a whole rather than Marbella specifically. 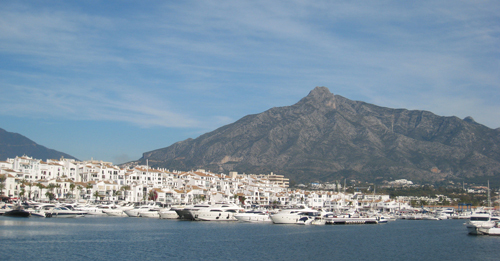 The four properties featured are in Benalmadena, Cabo Pino, Estepona/San Pedro and the upmarket enclave of Benhavis. If you are looking for property in Marbella itself just pop over to the Overseas section of the Colbert & Co. website, type Marbella in the search box and you’ll find plenty of Marbella property to suit any requirements. The Costa del Sol market is an interesting one as it was where it all began for Irish property investors overseas. Technically it all began in the UK, but we’ve been buying property there for generations and it is viewed by Irish investors as almost an extension of purchasing in Ireland. On that topic there’s a very interesting piece by Graham Norwood in Saturday’s Financial Times affect of the ‘Buy to Leave’ phenomenon on London property in particular. This is where wealthy overseas investors buy properties off-plan, with no intention of ever occupying, or even furnishing, them. They are simply there to put cash into an asset class that has been shown to grow over time. Anyway, I digress. Following Spain’s huge property crash, it is interesting to look at how its property market has fared over the past half-decade. There are signs that UK and Irish investors are, once again, beginning to take interest in Spain. It does seem, however, that those now looking at Spanish property are a lot more realistic about what it offers in terms of an ‘investment’ than the herd of buyers that purchased off-plan and ‘flipped’ multiple properties all along the Costa for upwards of a decade. In real terms coastal holiday areas in Spain, and elsewhere, have only a tentative connection to true investment property. This lesson, one would hope, has been well and truly learned at this stage. But you’d never know. Check back during the week when I’ll have some other pieces on the Costa del Sol online. The Sunday Business Post article is at the bottom of this page if you wish to read it. There’s a download link underneath if you wish to save it to your computer to read it there. If you currently own property in Spain you may also be interested in a piece I wrote for the Irish Times on Saturday February 13th on the Andalucian Junta’s intentions to register tourist accommodation throughout the region in the coming months. I’ll have the full article here on this site with links during the week.